Nancy Hasani is one of Employment Matters Counseling & Consulting LLP’s Orange County partners. Nancy’s practice at EMC2includes corporate representation of high-tech companies, traditional businesses, law firms and small start-ups and individual representation of high level executives. She has appeared in state and federal court, as well as before various governmental agencies, including the California Department of Fair Employment and Housing, the California Department of Labor Standards Enforcement and the Equal Employment Opportunity Commission. Nancy specializes in assisting employers with all aspects of the employment relationship, including, formulating effective policies and procedures to address issues in the workplace as they arise, counseling on hiring, discipline, termination, and employee conflict issues, and advising them on compliance with applicable legal requirements. Nancy also has extensive experience conducting workplace investigations for private employers, government agencies, and government contractors. 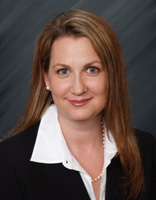 Prior to joining EMC2, Nancy worked for the Orange County office of Fisher & Phillips LLP, one of the oldest and largest firms in the country practicing exclusively labor and employment law. Nancy also spent several years practicing employment law in the Silicon Valley for Cooley Godward LLP, representing early stage and public companies in the high-technology, biotechnology, and retail sectors. During her tenure at both firms, Nancy provided strategic counseling and litigation services to clients such as Terayon Communications Systems, Inc., i2 Technologies, Inc., Lynx Therapeutics, Inc., Gulfstream Aerospace Corporation, and DNA Sciences, Inc.
Nancy received her law degree from the University of Illinois College of Law where she was a finalist in the American Bar Association Client Counseling Competition and taught undergraduate speech communications. During her third year of law school she attended USC as a visiting student where she earned distinctions in pre-trial and trial advocacy and externed for the Los Angeles County District Attorney. Nancy received her B.A. in political science from UCLA where she was a member of the National Championship Debate Team. Nancy is a member of the Association of Workplace Investigators. Nancy is also proud to be a member of the Capistrano Coast Chapter of the National Charity League, which provides philanthropic services to charities throughout the Orange County community. Nancy also served on the Board of Directors of the Glass Slipper Guild of the Children’s Hospital of Orange County, which raises funds and awareness for the Children’s Hospital of Orange County. Nancy is admitted to practice law in California.